This pass is good if purchased by April 1 2011! My name is deZengo and I love teaching Zumba and look forward to sharing this fantastic, high energy dance & fitness program with you! to get in shape, have fun, and make friends with you! The reason Zumba is so effective is truly simple: Every class feels like a party! Come join us and you'll see what I mean. You don't even have to know how to dance. Just move your body and follow my lead. It's easy! Currently, I'm licensed to teach and am a ZIN member. Check out my class schedule to find a location you like. Or click "Contact Instructor" to send me an e-mail and I'll get in touch with you about finding a class. Come try it, I guarantee you will have a blast! I look forward to meeting you! For updated information on SACREDspace events, featured instructors, and more please follow us on the links provided below. 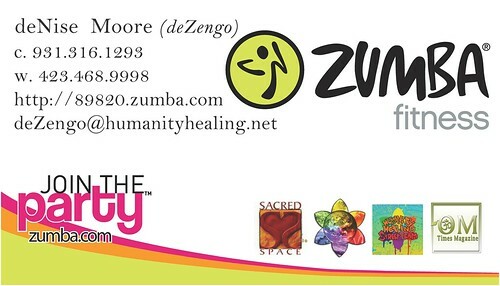 join us and experience Zumba for yourself.